We are back in Minnesota reconnecting with family and friends. My great niece, Aria, was baptized yesterday so we celebrated with some family in New Prague. Later that night I met up with my friends Kathy and Cindy for some Bingo at Mystic Lake in Prior Lake. It feels so good to see these faces again! Kathy even won $150 at Bingo! Tuesday night I'm teaching a gift packaging class at the Savage Davanni's. I get to see more familiar faces and do some stamping! Bonus! There are many more people to reconnect with this week. It's going to fly by fast! 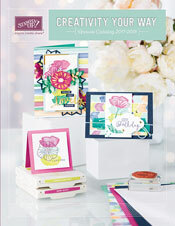 Don't forget about the Online Extravaganza Stampin' Up! is offering this week. You can snag some great deals! You can check out the deals on my previous post or go directly to my online ordering website to order. I have been missing in action for a little while. My husband,Doug, had an accident while working on his truck. He was removing the drive shaft when it suddenly shifted into neutral and rolled on him. He knew immediately he was in trouble so he rolled his head away from the tire and got pushed part way down the drive way. He got pinned underneath the wheel of the truck on his stomach with his left arm and shoulder holding off the truck from rolling over him. He called out for help and luckily our neighbors, Steve and Diane,heard him. Diane put on the brakes of the car while Steve rolled the wheel just enough for Doug to wedge himself out. He immediately got up and walked across the driveway. That's the shock kicking in! He told Diane to cancel the ambulance but luckily she didn't listen to him. I was on my way to Target with our son,Nick, and no one else was home.He called me and said he did something stupid while working on the truck and it rolled on him so I would have to pick up our son, Sam,from gymnastics. I asked him if he needed to go to the hospital and he said no. After hanging up the phone I looked at Nick and said, "I think we better stop home." When we got there there were police cars, an ambulance and Doug on a stretcher. They took him to the hospital and I drove there shortly after in my car. He ended up with a badly broken ankle, 5 vertebrae on each side of his lower spine fractured, 1/2 of his ribs fractured, a broken shoulder blade, a slightly compressed lung, and many cuts and bruises. He was a scary sight but I couldn't believe none of his internal organs were effected. I believe he had an angel in his father who recently passed looking out for him. Doug stayed in the hospital for 6 days. I was so happy to take him home Wednesday night, 8/15. We are adjusting to life in a wheelchair while his bones are healing. We've had some rough nights when the pain meds weren't doing the trick and finding comfortable positions weren't possible. We have made some adjustments at home to make life easier and to make him as self sufficient as we can. He is still in a lot of pain but is managing it with the pain meds for now. I was able to take last week off and take care of Doug. I'm back to work this week. His mom is staying with him for a few days and then the boys will be around to help as well. I took our daughter, Rebecca, to college on Sunday, August 19. Doug would have loved to come but couldn't handle the 7 hour round trip in the car. With Rebecca gone I am the only driver for the whole family. Many people have offered to help with rides and I am definitely going to take them up on it. We have been so gratified by all of the family, friends and neighbors rallying around us to offer help. The meals we have received so far have been great and much appreciated. Alleviating that burden a few nights a week will be a great help! Our friend Rich had a ramp that he is borrowing us. This has been a lifesaver as I can get Doug in and out of the house unassisted. He likes to be "walked" around the neighborhood to get out and have a change of scenery. When I can free up some time I will be using stamping as my therapy. As the primary caregiver, I know I need to take care of myself so I can take care of my family. I will be back soon with some stamping to share. Happy Spring! We are enjoying an early Spring here in Minnesota. It's more like May or June weather here. The grass is fully green and we even had to mow already. That is unheard of here! We took a family vacation to Orlando last week. We did several days at Disney Parks, Universal Studios Islands of Adventure and a day at the beach. Such a fun time! It was expensive and my husband asked if it was worth it. Absolutely! Vacations refresh you and give you renewed energy to continue on with life. Life is so dang busy it's good to take a break and re-charge the batteries. Here is some of re-charging we did. At Clearwater Beach. Nick was running around chasing seagulls and feeding them his leftover ice cream cone. Dad and the boys at the Indiana Jones stunt show at Hollywood Studios. Yes, there was a little bit of this going on. My family can't completely unplug. There was some of this going on too. And this. Reconnecting as a family. Our lives takes us in so many different directions it was great to spend time and enjoy each other! I'll be back with some cards to share from this month's stamp club and some specials going on. Somebody had an 18th birthday here yesterday. It's hard to believe there's another adult living in our household. Rebecca is all growed up! We celebrated with lunch at P.F. Chang's. The boys weren't too excited to go eat Chinese food but were pleasantly surprised at how good the food is. And anytime we go somewhere classy to eat the boys have to bust out the silly. This is their best walrus imitation. P.F. Changs just so happens to be next to Cheesecake Factory at Southdale mall so guess where we went to pick up dessert? It was a delicous day. Rebecca and her boyfriend finished up the day with a little gambing at the casino. It's the rite of passage of 18 year olds around here. Besides the right to vote, the right to be drafted and the right to be tried as an adult in a criminal matter you get the rite to gamble. Good stuff! I'll be back with a card in the next day or two. I've been busy around here but not with stamping. Homecoming was this week for my kids. Here's Nick decked out for spirit day and the big game. We spray painted his hair black! Here's Rebecca before the Homecoming dance. And one with her and her boyfriend, Jake. And her and her two best friends, Taylor and Brittany. Then we had my mom's 80th birthday party on Sunday. Here's a shot of my mom and all of my brothers and sisters. It was a special day. Lots of laughter, talking, sharing memories, food, and my mom's favorite dessert - icecream! 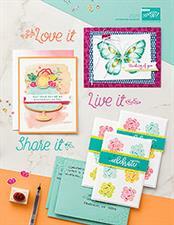 I'll be back soon with some stamping creations to share. This is where I've been this week. The Grand Canyon. It's somewhere I've wanted to visit my whole life. And it did not disappoint. This was our first picture and our first view of the Grand Canyon. Pictures do not do it justice. This guy scared us a lot. There are very few fences or guardrails at the Grand Canyon. It's a mere slip over the canyon. He likes to run and jump and venture close to the edge. My husband could not relax. Maybe because he was worrying so much, I could. This guy was a little more cautious. He's afraid of heights and respected the distance from the edge. This young lady was filled with awe and grace. She's a young adult and could appreciate the Grand Canyon for the natural wonder that it is. We spent about 3 days in the Grand Canyon. We started out our trip in Phoenix. We flew in a week ago Saturday and stayed the night. On Sunday we went to the Phoenix Zoo. It was a hot 88 degree day. We were all pooped out by mid afternoon and decided to drive to our next destination in Williams, AZ. It's where our hotel room was for the next 5 nights and an hours' drive from the Grand Canyon. We spent Monday in the Canyon. We stopped and viewed it along several viewing sites and went hiking down in the canyon. Yes, we walked right through a mountain! I think this is called Angel's pass. It's not bad going down but boy was I huffing and puffing coming back up! I need to get back into an exercise program. On Tuesday we visited Sedona. This was about an hours' drive from Williams as well. The drive into Sedona was breath taking. Nothing could quite describe the beauty and splendor of driving down through the red canyon walls. I'll post a picture but it doesn't hold a candle to the real thing. I enjoyed this even more than the Grand Canyon. The scenery was stunning. If you aren't familiar with Sedona it is an artist community and it is no wonder. You are surrounded in a valley by Red Canyon walls all around you. A feast for the eyes. We sent the guys off on a 4x4 jeep ride through the canyon while Rebecca and I went shopping in this picturesque little town. 2 1/2 hours was not enough time to shop. I'd like to come back here someday. It's really more of a girls town than a guys town. At least for my family. We went back to the Canyon on Wednesday. We saw the Imax Grand Canyon movie. And drove to the Desert View where there is a watch tower. This is inside the Watch Tower. The walls were done by a Hopi Indian artist. On Thursday we boarded a small 20 seater plane for an hours flight over the Canyon. It was a cloudy day but just amazing to get this viewpoint of the canyon. We finished out the day at a cute diner in Williams on Route 66. Williams is a little town on Route 66 with lots of cute little shops. We drove back to Phoenix on Friday and had late lunch at Buffalo Wild Wings. Unfortunately, Nick came down with an ear infection right after that so my husband spent the rest of the afternoon driving him to Urgent care and the pharmacy. The rest of us just relaxed back in the hotel room. It was an incredible trip! One I highly recommend if you haven't been to the Grand Canyon and Sedona. We had a great week of family bonding. These two got on incredibly well. They were the best of buds all week. And our family Christmas photo this year may well be this one. I'll be back with some stamping photos soon. I have my recipe club this afternoon and have 3 new recipe cards to share.